Thinly slice your potatoes (about 1/8 of an inch each). Set aside. Pre-heat your oven to 400 degrees. Get your duck fat out of the fridge, and scoop out 2-3 tablespoons. Place this on a large cookie sheet (with edges) and heat over a low-heat eye on your stove to melt the duck fat. Once its melted, take the sheet off the eye. Place the potato slices down on the duck fat. Then, one by one, flip them over to make sure each potato has the duck fat on each side. 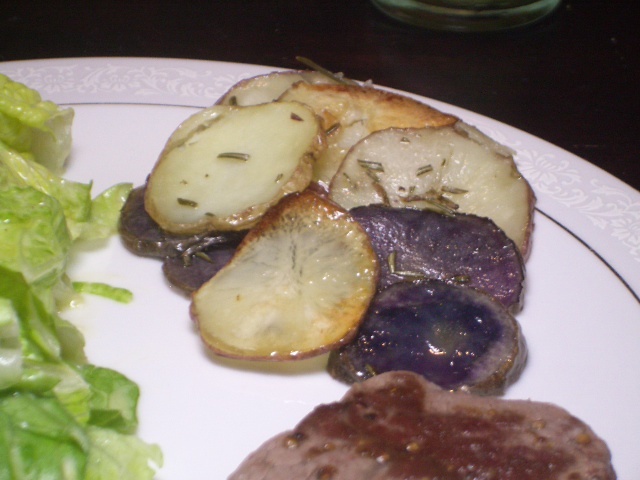 Sprinkle sea salt over the potatoes. 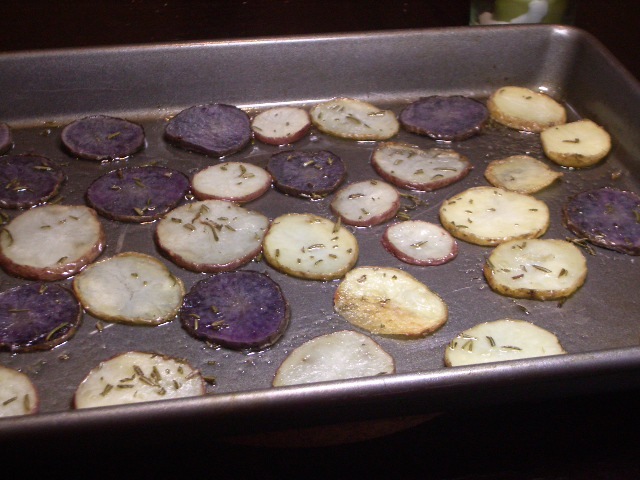 Roast in the oven for 35-40 minutes, or until the potatoes start to look golden brown. With about five minutes left to cook, take them out briefly and sprinkle your chopped rosemary on top. Serve while they’re still hot and ENJOY! *Not roasting a duck anytime soon? D’Artagan has some duck fat!